Stratagems: Make or Break an Army? 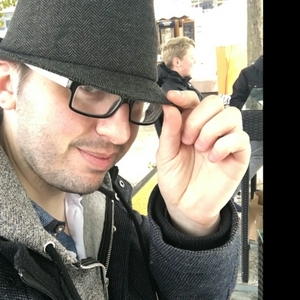 Sprues and Brews is a UK based tabletop website, with videos, podcasts and more! We cover Warhammer 40,000, Age of Sigmar, Horus Heresy and many other major and independent games! With Matt on Warhammer Live at the time of recording its just Dave and Jay on this week's podcast. If your going to watch Matt's battle back as a subscriber on Warhammer TV you may find this podcast full of spoilers, just a heads up! This week's podcast features a more detailed discussion on how our 2019 Tale of Gamers are progressing, whilst our Top 3 focuses on projects we'd like to do in the future. We also read out the community picks. Fyreslayers and Chaos Space Marines feature heavily in the news segment this week. Head over to SpruesandBrews.com for links to Jay's Blood Angels battle report and how you can watch Matt back on Warhammer Live with his Blades of Khorne Vs Phil's Skaven. The team is complete once more as Dave, Matt and Jay host the latest show. On this week's episode the team discuss the recent release of Vigilius Ablaze, and contemplate what this could mean for the future of Warhammer 40k. We also cover the recent updated Chaos Space Marine Codex. Our Top 3 for the week is all about the glorious artwork that can be seen throughout battletomes, codexes, rulebooks, etc. You guys haven't let us down by providing your Top 3 picks too, which are read out at the end of the show! Lastly, we run through all the major announcements from Adepticon, including Slaanesh, Forbidden Powers and Warhammer 40k: Apocalypse. We are back! After another week of dentists and illness we are back with a brand new podcast! Dave and Matt present this bumper packed episode. Matt has recently returned from the weekend's Throne of Skulls at Warhammer World so this is discussed in detail and, spoiler alert, Matt did rather well, grabbing third place! We also have a quick rundown of the latest Battletome release, the Blades of Khorne as well as discuss the recently released Warhammer Battlebox, Shadowspear. For this week's Top 3 we choose our favourite Warhammer-ey models! The news is also featured, including the upcoming release of Abaddon and the updated Chaos Space Marine Codex. This week's podcast sees us discussing rules from current and previous Games Workshop systems including Warhammer Fantasy, and how they have changed over the years. Our Top 3 returns, as we talk about our top 3 rules. As always we also read out the community choices too. Finally we discuss our hobby updates, including our Tale of Gamers, whilst we also chat about the latest news from Age of Sigmar and Warhammer 40,000. Its all a but chaotic on this week's podcast! May contain Heresy! Abaddon is back, along with some new friends in the upcoming Shadowspear Battle Box. Its ok Imperialists, you've got some reinforcements too! Dave, Matt and Jay discuss the return of the Warmaster along with Shadowspear. They also chat about the story so far on Vigilus. This weeks Top 3 focuses on villains throughout the various Games Workshop universes. As always the community Top 3s and the latest news also feature. On this week's episode Dave, Matt and Jay discuss how they go about creating army lists for Age of Sigmar and 40k, and how their list writing has changed over the years. The Top 3 this week tags on to this, with our units we wouldn't leave home without, those characters or squads then have to fit in an army list somewhere! The community picks also feature. Also on the podcast we have the Tale of Gamers updates and the latest News from GW. Happy New Year to all our listeners! Unfortunately the powers of Nurgle prevented us from doing our last podcast of 2018, sorry about that! We are however back with our first podcast of the New Year! We chat about our gaming goings on during the festive period, including Matt's game against Knotley on Warhammer Live! We also talk about the start of our Tale of 40k Gamers, Chapter Approved, Vigilus Defiant and the Gloomspite Gitz! 2019? Lets do this! We are back with Episode 16! Great episode for fans of Warhammer 40,000 as we discuss the reveals from the Vigilus Open Day last Saturday. We were there checking out all the latest minis, including Marneus Calgar and the new Genestealer Cultists. With Christmas on the way we discuss our Top 3 Christmas Stocking Fillers and read out our community picks too. The News also features, with a focus on this weekends upcoming preorders. 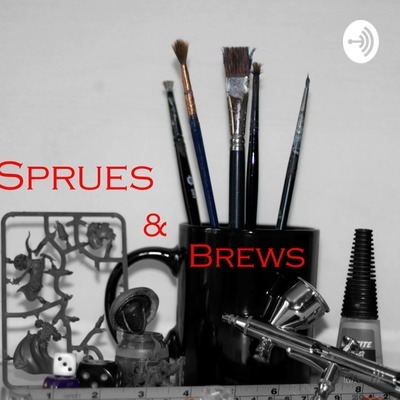 Episode 15 of the Sprues & Brews Podcast has landed! Join Dave, Matt and Jay as they discuss the Warhammer 40,000 and Age of Sigmar stories so far. Is the lore progressing well in 8th edition of 40k and the 2nd edition of AoS? With the Vigilus Open Day days away, our Top 3 this weeks focuses on what we'd like to see revealed. Whilst some of them are possible...others, maybe not so much. We also read out some of the communities Top 3 too, as well as discussing the latest GW news including new Adeptus Titanicus and Middle Earth models. Join Dave, Matt and Jay, along with special guest Lee on the latest Sprues and Brews Podcast. On this episode the guys chat about Games Workshops Specialist Games, and how they've evolved over time. All the favourites are discussed, including Battlefleet Gothic, Blood Bowl, Gorkamorka and Mordheim. A record number of the community chipped in with there Top 3 Specialist Games, whilst the guys also mull over their selections. Also features the latest GW news including the upcoming Made to Order Beastmen and new stuff coming from Forge World for Adeptus Titanicus. Dave, Jay and Matt return for Episode 13 of the Sprues & Brews Podcast! On this weeks episode we chat about the new Warhammer 40k Ork Codex. The guys discuss the new rules, kulturs and stratagems. This weeks Top 3 is focused on our favourite Warhammer 40,000 vehicles. We also read out the communities Top 3 choices too! It's Episode 12 of our podcast! Join Dave, Matt and Jay as they talk about their weekend at Warhammer World as they took part in the Age of Sigmar Doubles Tournament! They also chat about the upcoming Ork Codex, Blackstone Fortress reveals and of course this weeks Top 3, which focuses on our favourite gaming moments. We also run though the community Top 3s! Struggling for hobby inspiration? This is the podcast for you! Jason, Matt and Dave talk about what inspires them to paint and collecting Warhammer armies. They also chat about their Top 3 ‘Hobby Hacks’ as well as discussing the community picks too. Also featuring the latest Warhammer news. * Audio Quality * Our apologies for the slight issue with the audio in this episode! * Matt, Dave and Jay return with another podcast! On this episode they discuss their Top 3 Middle Earth moments, and which armies they are tempted to get to get into the re-released Middle Earth: Stradegy Battle Game. Also features the latest news including the Wrathborn Kickstarter from Lion Tower Miniatures and our communites Top 3, featuring some of the guys from Warhammer Community! On this episode Matt, Dave and Jason discuss their Top 3 Weapons from the Warhammer 40,000 universe. We also chat about our first live stream game of Age of Sigmar at Warhammer World, as well as wrapping up the recent news. Matt, Dave and Jason return! Check out our latest podcast where we discuss the upcoming Thrones of Skulls Doubles, Rogue Trader and Orktober. We also introduce a new feature, our Top 3 characters from the Warhammer 40k universe! Dave, Matt and J discuss Necromunda rumours and preorder info. We take a further look at Shadespire and the upcoming 40k codexes while Jason mourns the loss of his Eldar during his battle against Matt's Death Guard! Our first proper podcast is here! Join Dave, Matt and Jason as they discuss Shadespire, Necromunda, the new Eldar Codex and Dropfleet Commander. Feel free to comment on our show, @spruesandbrews on Twitter or head to facebook.com/spruesandbrews Like and subscribe! This first podcast introduces the upcoming series of podcasts where Dave and Matt, along with special guests, will be bringing you the latest in tabletop gaming. We'd love to hear what you, the listener, would like to hear on our podcast. We'll also be looking for feedback on subjects we'll be covering. Feel free to send us a tweet, @spruesandbrews or post a comment on our Facebook page.